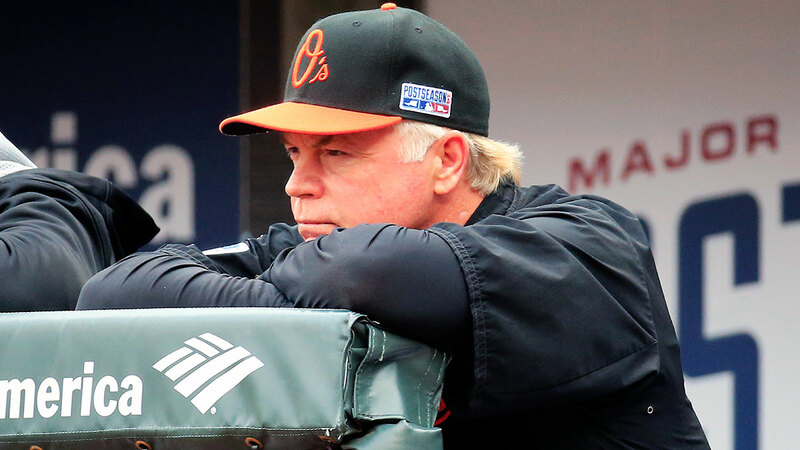 » The Cinderella Season That Wasn’t: What Actually Happened to the O’s? The Cinderella Season That Wasn’t: What Actually Happened to the O’s? If even a shred of doubt remained that the Orioles were going to fall short in their quest for the AL pennant, it evaporated as soon as Lorenzo Cain dropped down a bunt in the first inning of Wednesday’s ALCS Game 4. Cain was batting approximately infinity in the series and, small sample sizes aside, is one of the Royals’ best hitters. When a team’s first two batters of the game reach base, it doesn’t want its no. 3 hitter sacrificing. Not unless it’s 1968, at least. But Cain gave himself up anyway, advancing the runners to second and third while giving up a precious out. Then Eric Hosmer grounded to first, Steve Pearce threw home, a sliding Alcides Escobar kicked the ball out of Caleb Joseph’s glove, and two runs scored. Just like that, on a senseless bunt and a flukish defensive mishap, Baltimore’s season, for all intents and purposes, ended. The Royals went on to win 2-1, sweep the ALCS, and punch their ticket. We’ve feted the Royals’ incredible postseason run multiple times, and will continue to do so now that they’re World Series–bound. But it’s worth looking back at the Orioles’ own Cinderella story, exploring some of the little things that came into play during the ALCS (besides #RoyalsDevilMagic), and predicting what next year might bring. The O’s batted .346 with runners in scoring position in the ALCS … and got swept anyway. Much of that incongruity stems from a lack of hitting, period, in the series’ final two games, when the Orioles managed just seven total hits and saw just four total opportunities with runners in scoring position. They went 1-for-4. If we narrow the field to teams that failed to make the World Series, it gets even worse for Baltimore, with the O’s becoming the fourth-best clutch-hitting playoff team that failed to advance all the way since the playoff expansion of 1969. Royals manager/designated whipping boy Ned Yost gets jeered for a lot of things, one of them being his reliance on sacrifice bunts. But it’s not quite that simple. The Royals bunted 33 times during the regular season, and they made those bunts count: Per this excellent piece by FanGraphs writer Jeff Sullivan, K.C. posted a higher Win Probability Added for all of its 2014 sacrifice attempts by non-pitchers than any other team. The O’s ranked just 16th in that stat, and it bit them during the playoffs. Yost has been bunt-happy during the postseason, with his team dropping seven sacrifices in eight games (including two in the ALCS), and with some of those (including Cain’s) coming during multi-run innings. Meanwhile the Orioles, the fourth-buntingest AL team during the regular season … attempted zero sacrifices this postseason. Despite the sour ending, what the O’s accomplished this season remains pretty remarkable given what they had to go through. Chris Davis missed 35 games this season — including most of September and the entire postseason — due first to injury and then to suspension, and hit just .196 in the 127 games he did play. Manny Machado, the third baseman we can reasonably compare to Brooks Robinson based on defensive skill, lost 80 games to injury. Matt Wieters batted .308/.339/.500 in his first 26 games, then lost the rest of the season to injury. Pearce picked up the slack for Davis, who wasn’t exactly badly missed. Third base was a mess in Machado’s absence during the regular season, though Ryan Flaherty did contribute during the playoffs, batting .286/.400/.429 in seven games. But Wieters’s absence was a crusher. Minor league journeyman Joseph showed a few flashes of power early in his catching stint, but ended with a horrid .207/.264/.354 regular-season line. His running mate Nick Hundley was scarcely better, batting .233/.273/.352 with the Orioles. In the playoffs, neither catcher hit a lick, combining to bat .125 with no walks or extra-base hits in 24 at-bats. Showalter compounded the problem by not aggressively pinch-hitting for either, something he could have done with impunity had he carried third catcher Steve Clevenger instead of blowing a roster spot on reserve infielder Jimmy Paredes, who got into just one playoff game. Though it’ll be hard-pressed to top the 96 wins this year’s squad delivered, next year’s team should be better based on sheer talent. A healthy Wieters and Machado would be a great start. 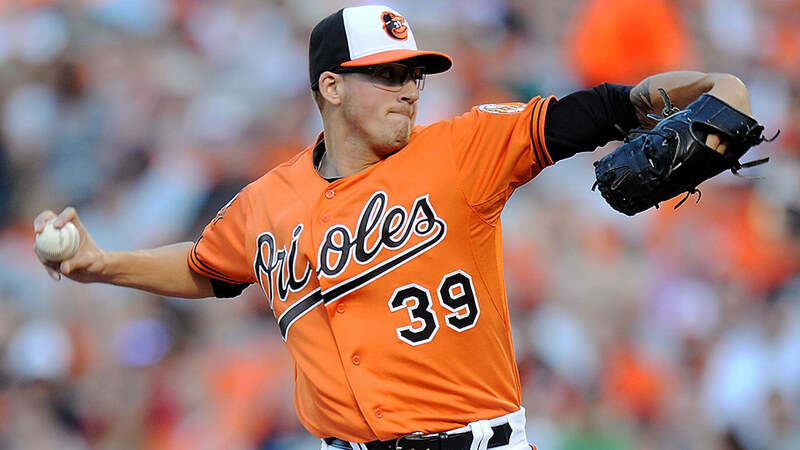 Kevin Gausman, who’s only 23, showed flashes of brilliance during the regular season as a starter, was nearly unhittable during the playoffs as a reliever, and might very well become the staff’s ace as soon as next season. Second baseman Jonathan Schoop, who’s also 23, should improve in his second big league campaign. Promising lefty Tim Berry could crack the big club next year, and if former über-prospect Dylan Bundy can stay healthy, he might too. And while losing MLB home run leader and free agent Nelson Cruz would hurt, the Orioles could spend significant money to replace him, since they’re currently on the hook for only $45 million in 2015. While that figure doesn’t include eventual arbitration figures for Wieters and Davis, most of the other arbitration-eligible players are first-time guys who won’t win that much money. Plus, the club should be able to spend after earning additional revenue during this year’s playoff run and presumably seeing an uptick in season-ticket sales for next year. The Orioles fell a bit short of the big prize this season. But they ran into one of the most unreal success stories in recent baseball history, and with a few breaks, they could be right back in the hunt next October.